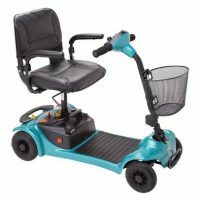 The Shoprider Whisper mobility scooter is a fantastic model for getting out and about. 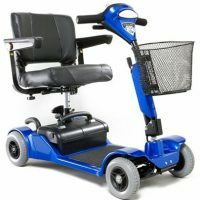 Designed with exceptional manouverability and modest dimensions, it can be used easily in tight spaces, while offering the added security of 2 front wheels, so its great for going shopping and day trips. 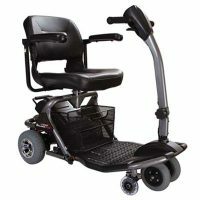 It is lightweight, easy to transport and features an adjustable length. 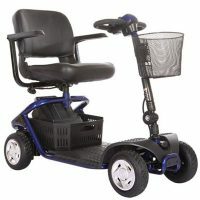 It also has puncture proof tyres and anti-tip rear wheels.